After last year’s best ever set of GCSE results, Holy Trinity has made further progress and improvements this year. 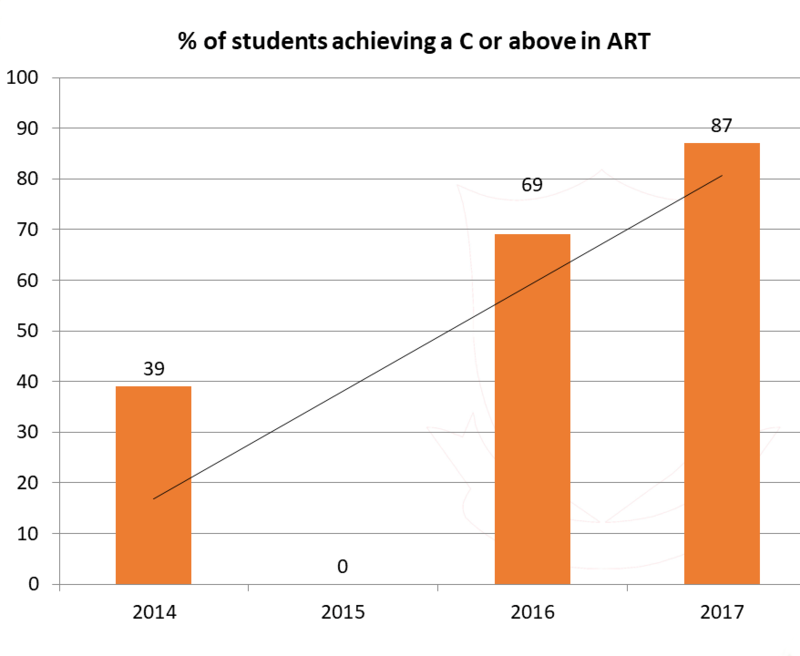 Students achieving a Standard Pass in both English and Maths is up to 54.4%, a 10% increase in the last 3 years. 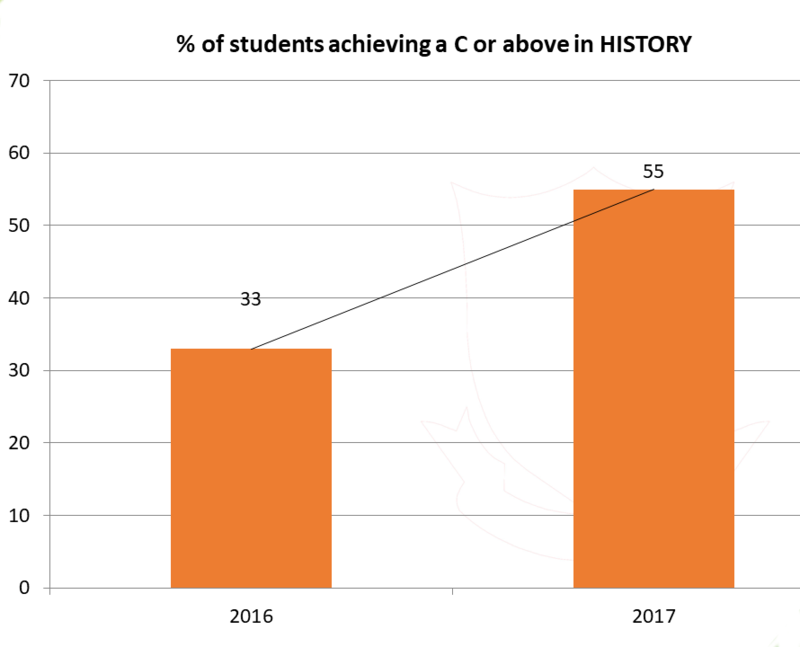 33% of our students achieved a Strong Pass in both English and Maths. 53% achieved a Strong Pass in English. 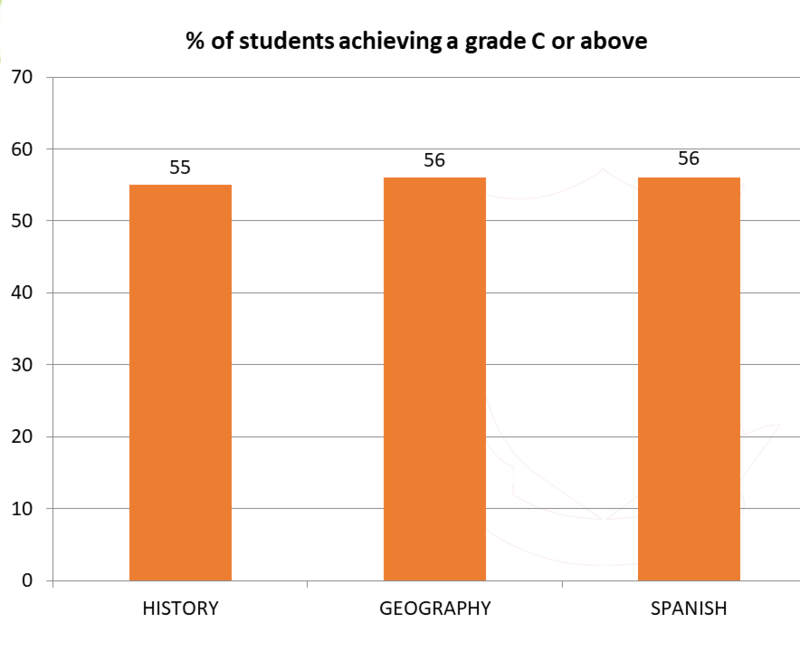 Performance of disadvantaged pupils in ‘basics’ has improved by 7% from last year and an impressive 15% in two years. 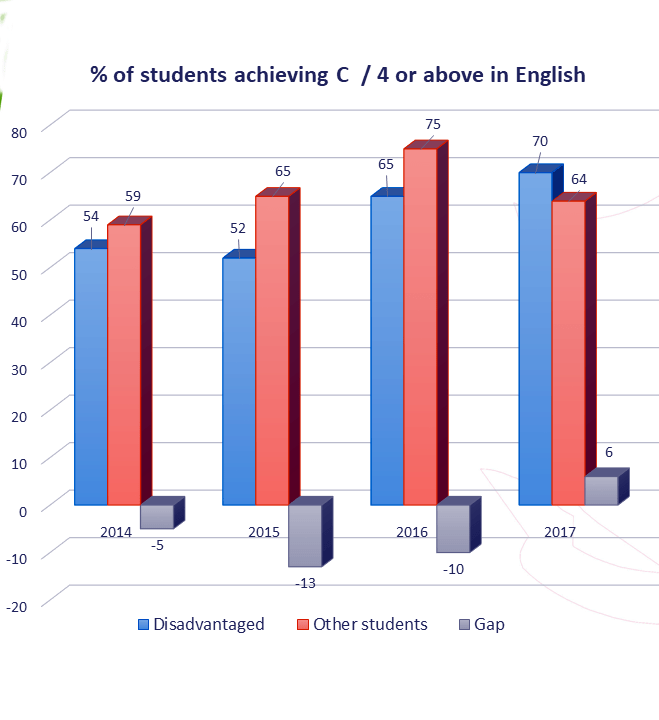 Gap in performance between disadvantaged and non-disadvantaged pupils continues to reduce significantly. Gap has reduced by 13% in the last two years. 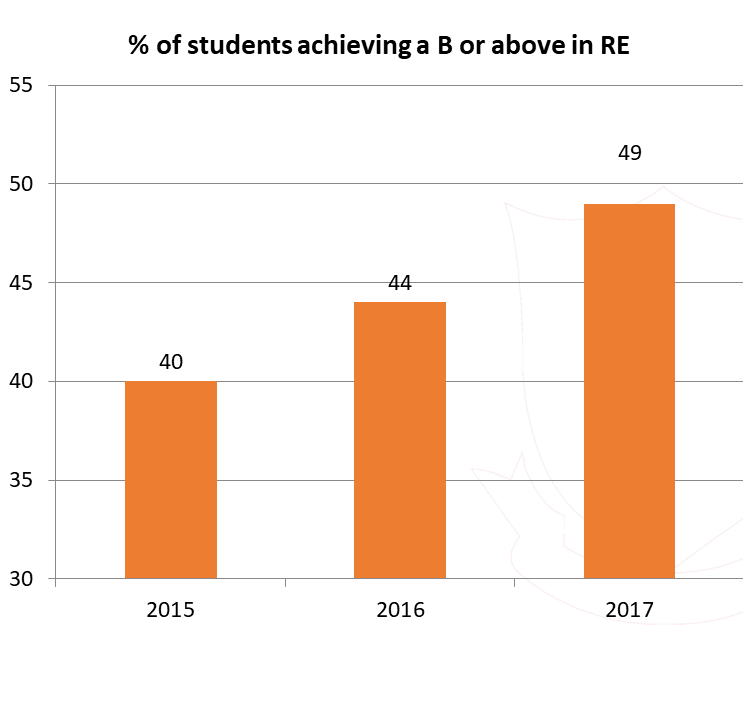 Performance in RE continues to improve. 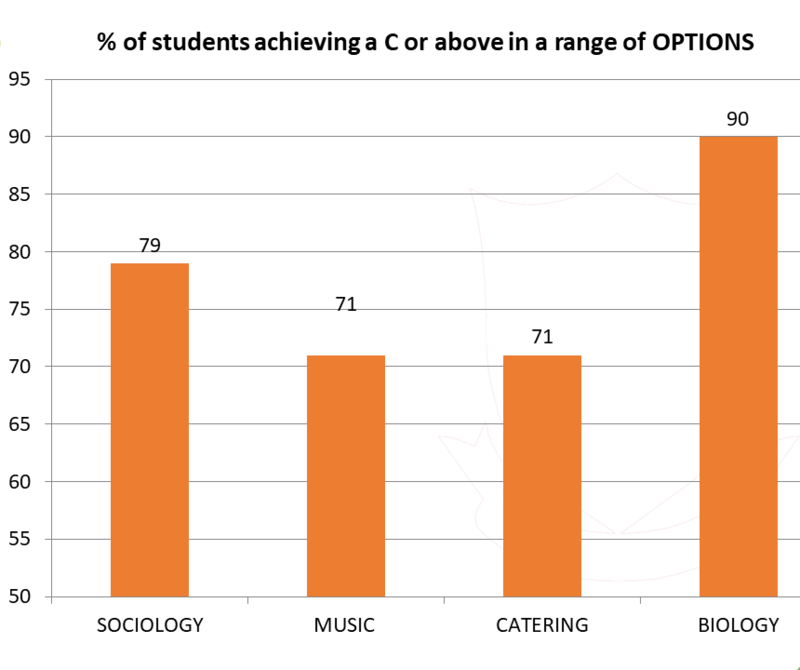 71% of pupils achieved an A* – C, and 49% achieved a grade B or above. Outstanding and improved performance in many other subject areas. 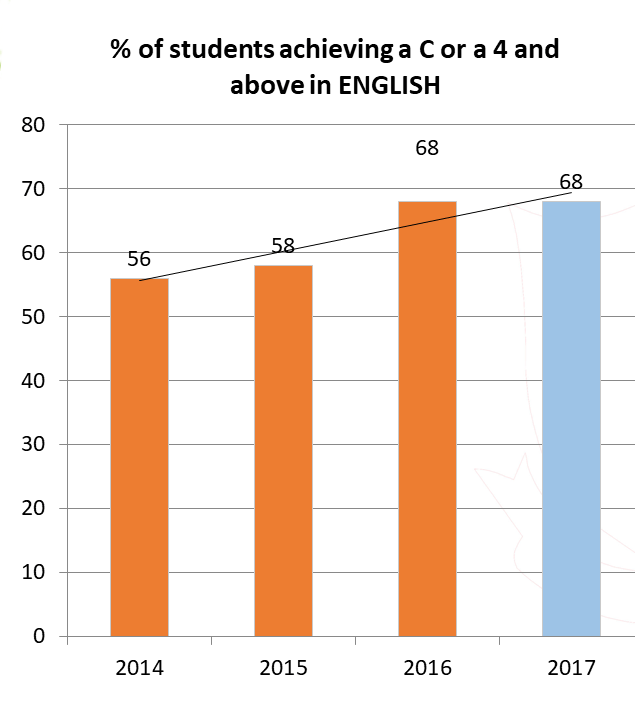 Despite a much more difficult new GCSE 1-9, attainment in English of a good pass remains the same as last year and consolidates upward trend. 53% achieved a Strong Pass in English. One student achieved a grade 9. 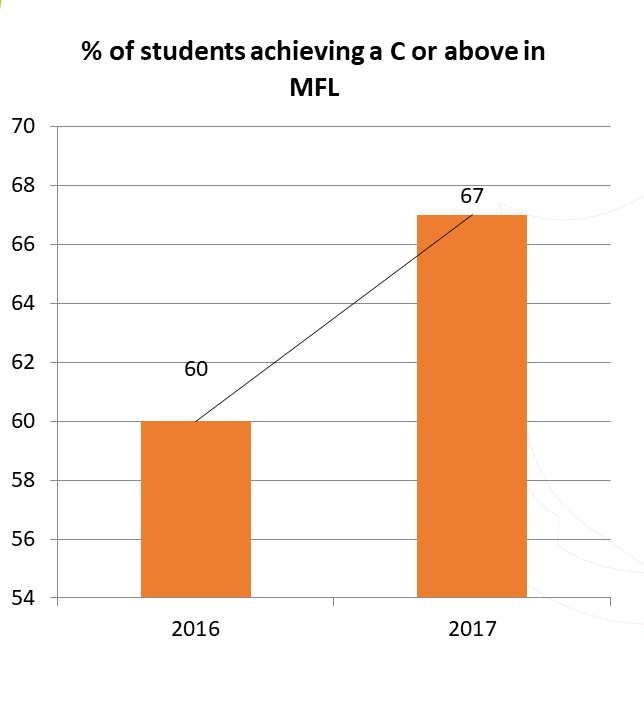 Despite a much more difficult new GCSE 1-9, attainment in Maths continues to be good. 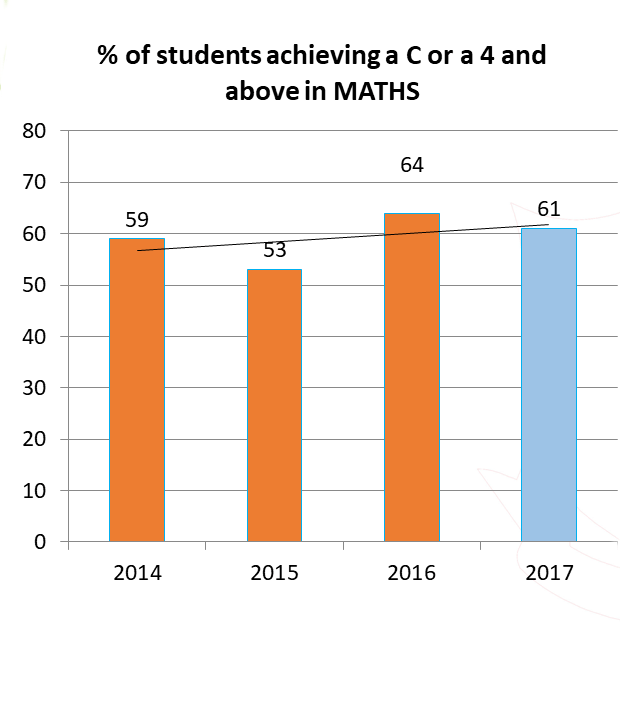 41% of students achieved a strong pass in Maths 13% of them achieved a grade 7 or above. One student achieved a grade 9. 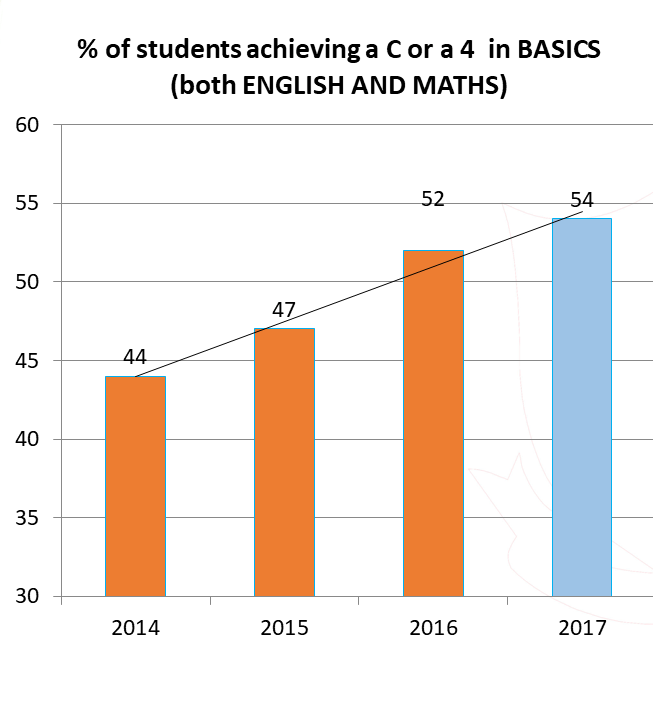 The percentage of students achieving BASICS (both English and Maths) continues to improve and is now at 54%, a 10% increase in 3 years. 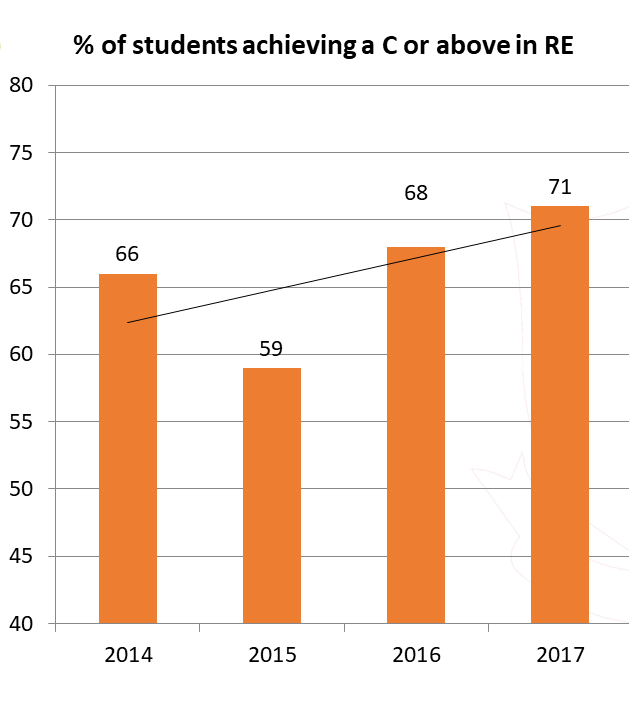 In English, the attainment of disadvantaged students continues to improve and is now at 70%, 16% higher than 3 years ago. 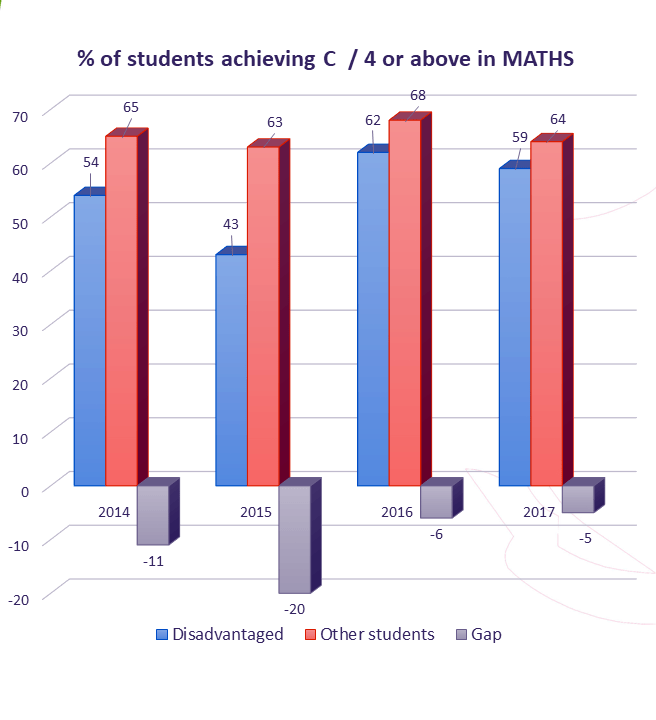 In Maths, the attainment gap between disadvantaged and other students continues to close, it is now at 5%, a 15% reduction from 2 years ago. We have offered wider range of MFL qualifications, including Arabic, Bengali, Urdu, Italian, Polish and Spanish.